Enter Line 1 and Line 2, up to 12 characters each, including spaces. Enter Line 3, up to 18 characters, including spaces. 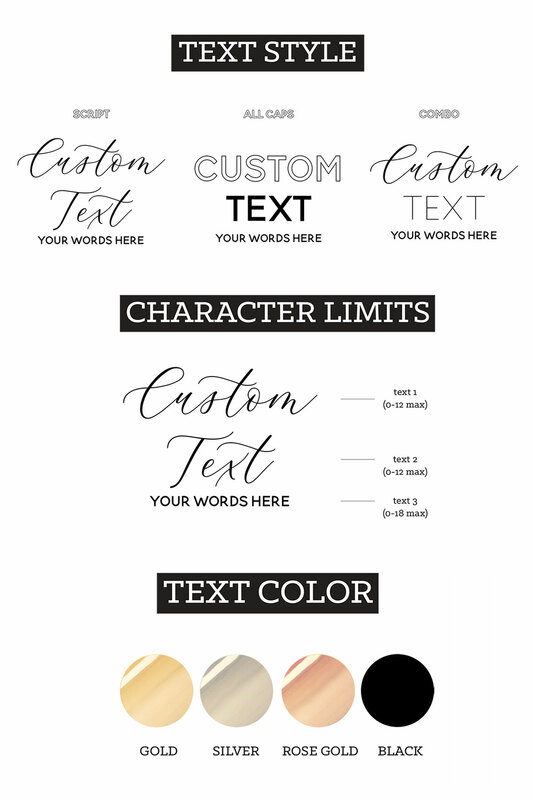 Choose font style and text color. Custom text tank tops make a fun and stylish gifts for your bachelorette party or bridal suite! 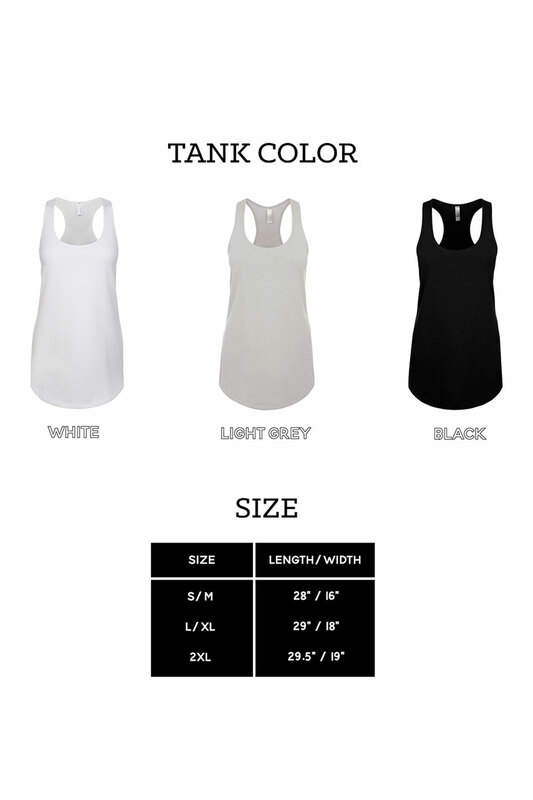 Each soft cotton tank top comes in your choice of white, grey, and black. 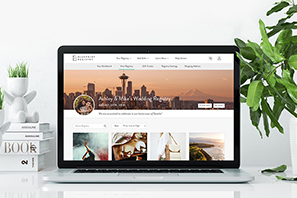 Choose the text style, text color, and text of your choice to match your event! The cutest tank top for the Bride's crew! Our Bride's Bestie shirt is done in super soft fabric on a flattering silhouette. Features and Facts: Polyester. Vicose. Machine Wash. Features draped silhouette, round neck, and racerback..